combined with exhilarating performance and character. 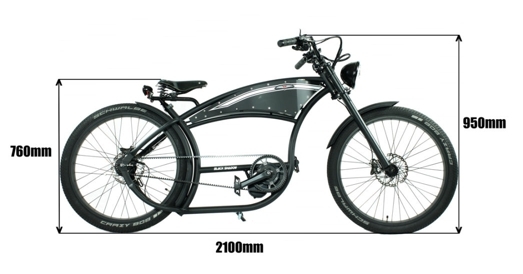 The E-Bike you will enjoy in a way you have never dreamed before. the V-OCO offers a whole new way to understand and live both wheels. The V-OCO was designed to be safe in circulation. The geometry of the low chromoly steel chassis, and the central engine layout, located under the cyclist, lowers the center of gravity of the V-OCO, which improves handling and reduces the risk of rollover. Made with the same advanced materials and reliability that have made Shimano famous for a long time. The new SHIMANO Zee hydraulic disc brake system is equipped with short style brake levers and a very powerful ceramic 4-piston brake caliper with 180mm disc. - LCD Display: 3/5/9 levels of assistance.